CAMPAIGNERS packed a meeting in Mirfield on Wednesday night to debate a controversial housing scheme. It was standing room only at Northorpe Hall as more than 200 people arrived to oppose plans for the Balderstone Fields. 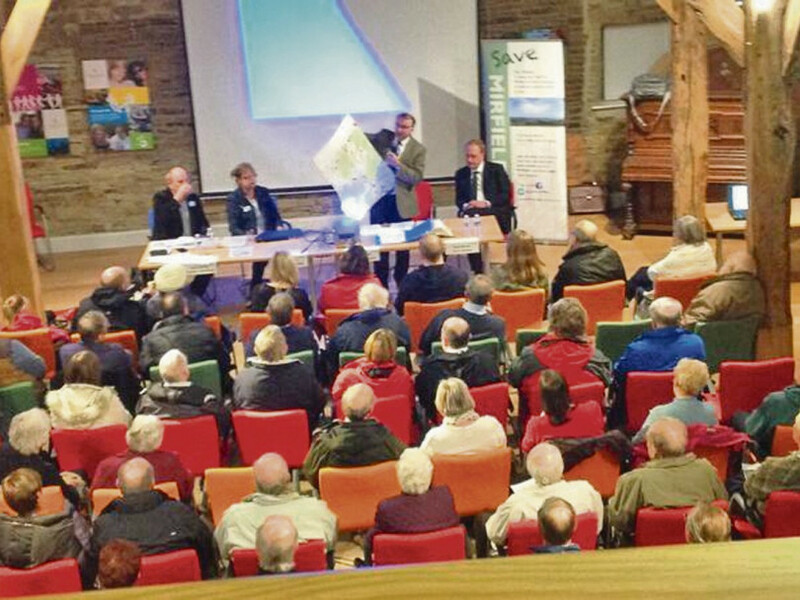 Speakers included MP Simon Reevell and planning consultant Robert Halstead, who is acting for Mirfield Town Council. Developer Bellway Homes wants to build 136 properties on land near Crossley Fields Junior and Infant School. A raffle and donations raised about £350 to help campaign group Save Mirfield carry on their fight. Coun Karen Rowling (Lab, Dewsbury West), who lives in Mirfield, was there with Labour parliamentary candidate Paula Sherriff. It was a positive meeting and Coun Kath Taylor (Con, Mirfield) said: “We don’t want this to become a political bat and ball game.